A study published today has shown that house prices have risen for the second month in a row. According to property analyst Hometrack, England and Wales experienced a positive 0.1% increase in April and it is the strong demand in London and the South due to overseas buyers that is pushing up the prices. But the rise is forecast to flatten out in the coming months as the impact on buyers’ confidence starts to weaken. If you plan on purchasing a home, now is the time to buy one before prices increase any more. But with rates growing, homebuyers dreaming about moving up the property ladder will be able to sell their home and get what they want for it which is great news for the UK removals industry. The traditional spring boost in the number of Britons registering their interest has escalated by 25% over the last three months however the director of research at Hometrack, Richard Donnell, explains that numerous reports about the strength of the economy will influence buyers’ self-reliance. England’s capital city has experienced a relatively healthy increase but generally been in keeping with the average price. It saw a monthly price hike of 0.3% with a 0.1% rise being recorded in the South West, South East and East Anglia. Areas which were patchy and saw fall in prices included the Midlands, Yorkshire, Humberside and Wales (0.1%), the North East and North West (0.2%). What is more, the duration of time properties are spending on the market before being sold consist of six weeks in London and 12 weeks across regions outside the South. If you plan on purchasing a home before prices increase any more, make sure you use Robinsons’ expert removals services. 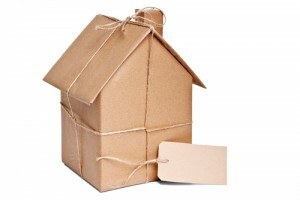 Make an enquiry today to see how we can help you with your move.